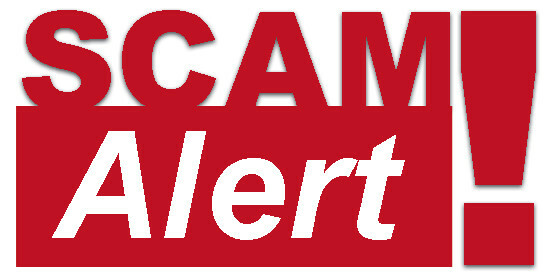 MARIJUANA FANS: Beware of Scammers!!! Fake Medical Marijuana Evaluation Clinics Online!!! Since 1996 when California passed its first law legalizing the use of marijuana for medical purposes, many people have benefitted. It was the right decision to make and particularly as it is used to help so many people suffering. Some of their pain comes from serious physical illnesses such as cancer or from complications that arise from infections such as HIV. 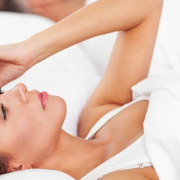 Some pain results from psychological issues such as severe trauma. To date those who use it legally see it as a true Godsend. But it also comes with its fair share of problems. Today several states — both liberal and conservative — have even also gone so far as to join California in legalizing “small” quantities of marijuana recreational purposes. They include Alaska (aka “Sarah Palin country”), Colorado, Maine, Massachusetts, Nevada, Oregon and Washington. And even the nation’s capital of Washington, D.C. allows people to enjoy it and to just smoke away. Marijuana has always been big business. But until the laws started to change in the United States, only criminals benefitted from its illegal sale. Now that sales have been legalized, companies see the forthcoming big bucks that are not only to come but that have already started rolling in huge amounts of cash from its sale. In its first year of legal sales, Oregon generated nearly $15 million in additional tax revenue alone between July 2015 and June 2016. Since its legalization for recreational purposes in Washington in 2012, the state has raked well over $1 billion solely from dispensaries. And according to experts, legal marijuana is expected to bring in a whopping $20.2 billions of dollars in sales into American the economy by 2021! With so much money at stake, everyone wants a piece of this smoky pie. And with that comes the inevitable problems. It’s like his hit, posthumous N° 1 song “Mo Money, Mo Problem”, The Notorious B.I.G. went on about: “The more money we come across, the more problems we see”! 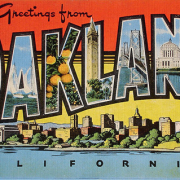 Online has helped to create a new area of problems for the legal medical marijuana industry. 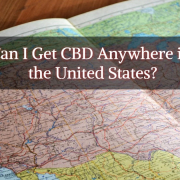 Thanks to online services in the United States, people can go to certain state-recognized companies, get evaluated by real 420 doctors and then legally get medical marijuana recommendation. But again, the rule “MO MONEY! MO PROBLEMS” applies here as the trade has opened the door to unscrupulous scammers and criminals too who take advantage of innocent people. 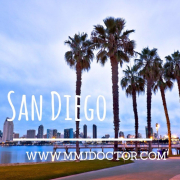 For example, www.mmjdoctor.com was created on August 19, 2018. It is one of the most reputable companies that place individuals in contact with real medical marijuana doctors who evaluate them and their medical situation to determine if medical cannabis is a right option for them. They then either approve or deny a cannabis recommendation for the legal purchase of medical marijuana based on the results of the 420 evaluations. However, since May 5, 2015, a company that is not at all affiliated to mmjdoctor.com has been running a fraudulent medical marijuana service under the URL mmjdoctoronline.com. There are other fraudulent 420 evaluations sites too like 420evaluationsonline.com also came into existence in February 2016. It stole its name from another pre-existing company 42oevaluations dot com. But we can see how scammers have deliberately created a name confuses and tricks trusting medical marijuana patients. 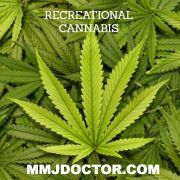 Both www.mmjdoctoronline.com and www.420evaluationsonline.com are breaking the law. They are not working with real medical doctors. They bought reviews online and now mmj patients are tricked and believe that this fraud is real. Neither is recognized or authorized by any state or federal authorities to evaluate medical marijuana patients. And they certainly do not have the right to issue legal medical marijuana prescriptions as many of the people who they have scammed went on to discover. 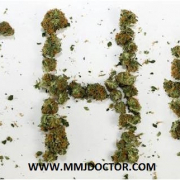 MMJDOCTORONLINE & 420EVALUATIONSONLINE – FAKE SCRIPTS FOR SALE BY FRAUDULENT ONLINE MARIJUANA CLINICS! Creating potentially terrible legal situations for innocent people who attempt to buy medical marijuana by unknowingly using FAKE MMJ RECOMMENDATIONS. Even worse these fraudulent companies work with impunity from the companies that process customer payments to them. For example, Stripe operates a well-known payment solution system that allows just about anyone to receive online payments from credit cards such as Visa, Mastercard, American Express and Maestro. 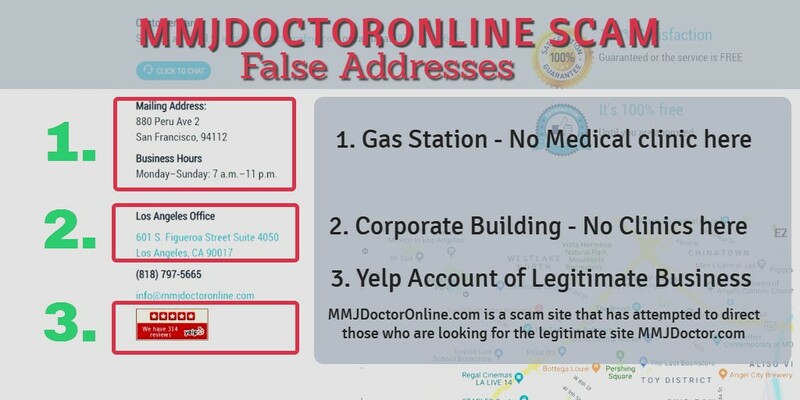 Victims of sites such as www.mmjdoctoronline.com and www.420evaluationsoline.com have contacted the payment solutions company to report their fraudulent and illegal activities. However, Stripe has done nothing about it. By not taking direct action against these scammers, some could very easily argue that Stripe is complicit to these unlawful activities. It would indeed appear to be the case as Stripe is aware of these illegal activities but it continues to turn a blind eye. Because they are ruthless scammers, very often companies like them also illegally place additional charges on the credit cards of the unsuspecting people. This is a very common practice by the scammers at the fraudulent www.mmjdoctoronline.com. WHAT CAN THE PUBLIC DO TO PROTECT THEMSELVES FROM SCAM? There are measures that everyone can take when making purchases online, no matter the purchase. One idea is to go through a payment service that allows you to use a virtual credit card. The benefit of that is that you only have to transfer money to it from your bank account or from a real credit card for the specific amount of an item are you about to buy online. That way, scammers do not have access to putting more charges on your credit cards. And it also prevents them from having access to your banking accounts. MMJDOCTORONLINE & 420EVALUATIONSONLINE REVIEWS! DO NOT TRUST FAKE REVIEWS! Another method is to try to first research your 420 evaluations clinic. Find your medical marijuana clinic on Yelp. Mmjdoctoronline and 420evaluationsonline were deleted from yelp because they used the fake address to sign up and when Yelp received a complaint from a real renter, fake online marijuana clinics were removed from Yelp search but you can still access it by a direct link. 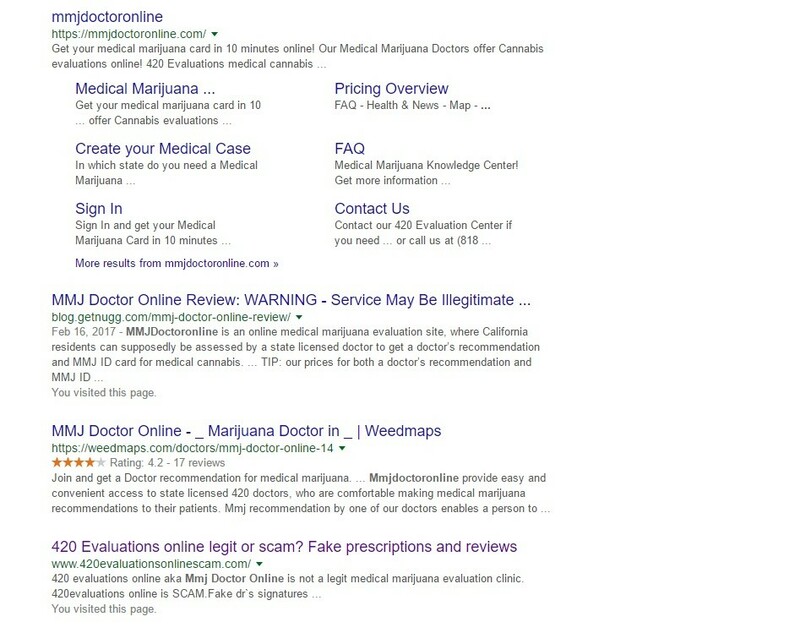 Also, these fraudulent online marijuana clinics were removed from google search as a business listing. You know when you look for some business Google gives you the address bar, rating, directions and etc. In case of mmjdoctoronline and 420evaluationsonline, this business information was removed because again they used the fake address to sign up just for better search results and make medical marijuana patients more comfortable to sign up for this fraudulent services. Most reputable medical marijuana doctors that propose services via online will have a customer service number that you can call to ask questions. 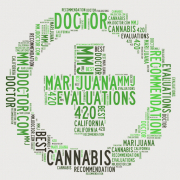 420 Evaluations Online and Mmj Doctor Online have customer service also but when you ask to obtain your medical records or speak to a doctor you get disconnected or mmj doctors are not available. Remember: The main reason why you need a medical marijuana card is to be protected from any legal issues but when doctors say they never spoke to you and do not have any medical records of such online evaluation – YOU GET IN TROUBLE! And finally, it is always a good idea to get testimonials about an online company before you make your first purchase through them. You can do that by reading the comments and ratings that previous clients have posted to their site regarding their services and professionalism. If the site is a scam site or does illegal things such as putting unauthorized charges on accounts, you will be able to read all about it.